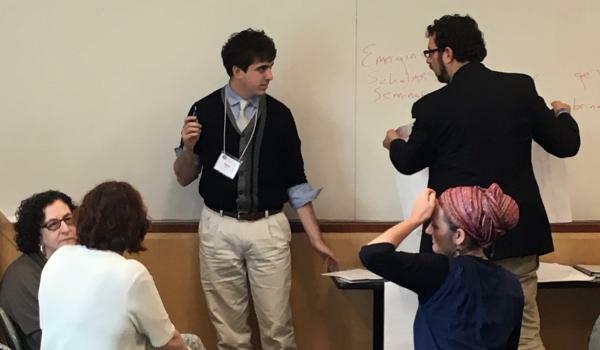 With support from CASJE and the Jack, Joseph and Morton Mandel Center for the Studies in Jewish Education at Brandeis University, the Network for Research in Jewish Education (NRJE) is again holding the Emerging Scholars Mentoring Seminar prior to and in conjunction with its annual conference. As in the past, the goals of the seminar are (a) to create a supportive professional network among mentors and Emerging Scholars; and (b) for Emerging Scholars to hear the behind-the-scenes stories of how to succeed as a productive researcher in the field. At the seminar, Emerging Scholars will have time to speak with an individual mentor and to connect with peers and other mentors in group discussions and activities. More information about the Emerging Scholars seminar is here.